Finished quilt measures 39" x 49". Backed with Fireside Fleece. 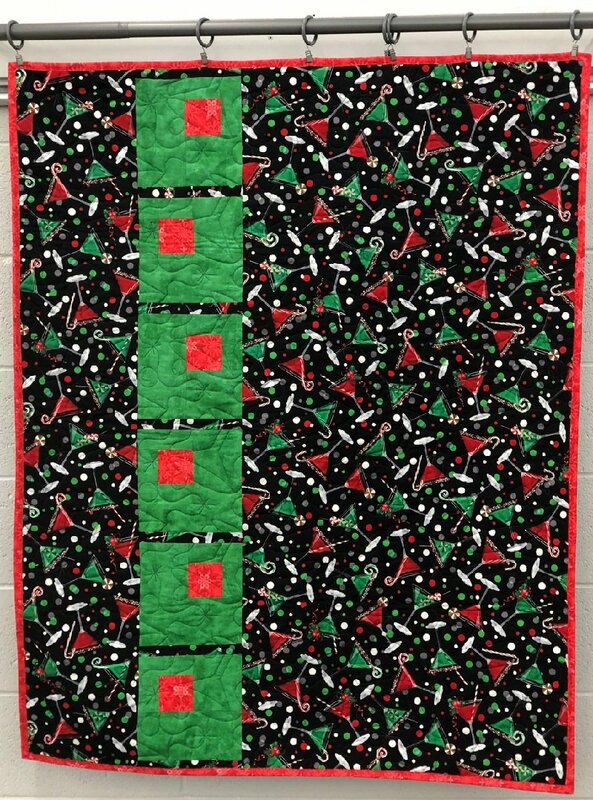 This Christmas Martini themed quilt is sure to be a hit! Finished quilt sold as is - was used as a store sample.